Arrive in Addis at the Bole International Airport to be met by tour staff for transport to your hotel. 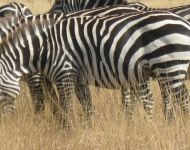 Sightseeing in Addis Ababa (e.g., the National Museum, the Ethnological Museum of Ethiopian Studies, and the Holy Trinity Cathedral) is possible, depending on your arrival time. 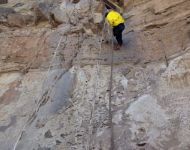 After a one-hour flight to the Bahir Dar Airport and a short drive to check-in at the hotel and refresh, you will travel by vehicle to the Blue Niles Falls which are known locally as tisisat, or “smoking water.” Over 1,300 feet wide (400 m) and falling for 148 feet (45 m), the falls cause steam clouds and create spectacular rainbows. A hike to the base of the falls for an up-close look takes about an hour round-trip. The afternoon is reserved for sightseeing in Bahir Dar. 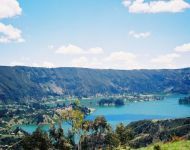 Depending on available time, the following options are possible: Bezawit Palace (Haile Selassie’s former palace), Weyto Village to see the production of the papyrus boats known as tankua, an early dinner at sunset, followed by an Ethiopian cultural show in the evening. 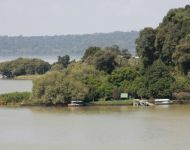 In the early morning, you will travel by boat on Lake Tana to a few islands to visit several churches and monasteries and their museums. Lunch will be followed by a three-hour drive to Gondar. After checking into our hotel, we have dinner reservations at a local restaurant. Our tour of the city will begin at the Fasilada’s Palace, which is probably the most impressive and oldest of all the castles built in the same compound by various emperors over the course of 236 years. We stop at Fasilada’s Bathing Pool, surrounded by a high, stone wall with turrets. This structure figures in present-day Epiphany Festivals, which are not to be missed if you are in Gondar in mid-January. 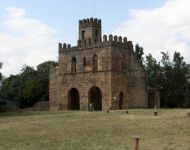 The next destination is a short drive away--the Church of Debre Berhan Selassie (Light of the Trinity). The ceiling of this church is decorated with 112 beautiful frescos in which no two angels are painted alike. 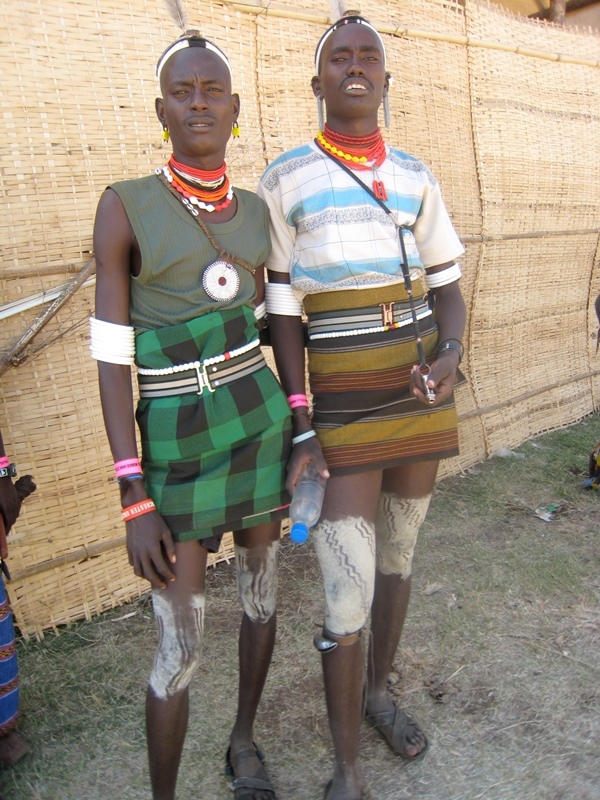 From Gondar, you embark on an early drive to Debark (3 hrs), stopping to browse at a Felasha village on the way. 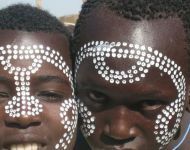 The Felasha remaining in Ethiopia (most relocated to Israel) are African Jews who separated from the mainstream religion 650 years before Christ was born. 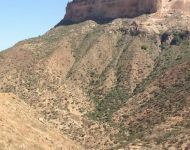 Debark is the site of the Simien Mountains National Park office where we register, pick up permits, and hire the guide and guard who must accompany park visitors. Depending on the weather, we will hike, walk, or drive through the park. 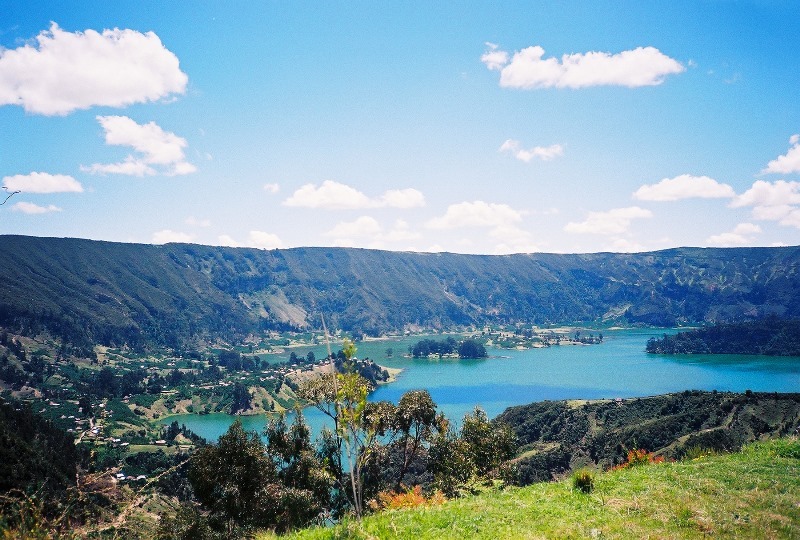 The mountain scenery is breathtaking and the mountain trails expose you to the unique flora and fauna of this elevated region. 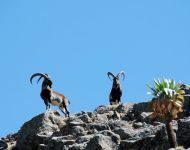 Early in the morning, you drive to Chenek (30mins); once there you hike for up to 3 hours trying to spot the very rare Wallia ibex, a large goat like animal with large horns found only in the Simien Mountains. 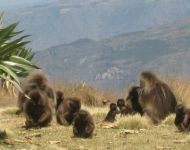 The dramatic scenery is a fitting backdrop for large herds of friendly gelada baboons, Ethiopia’s most common endemic species. Rare birds, such as the Lammergeyer vulture and the Ankober serin can also cross your path. Return to the hotel for lunch and drive back to Gondar. A one-hour flight (with one-hour stopover) takes you to Axum, the oldest city in Ethiopia. A short five-mile drive (8 km) gets you to town to check into your hotel for an early lunch. On this busy walking day you visit the impressive stelae fields; the grounds of the sixteenth-century cathedral of St. Mary of Zion, the original home of the Ark of the Covenant; the Queen of Sheba’s palace; and the Axum Museum. Any leftover time may be spent souvenir shopping. Fly to the UNESCO World Heritage Site of Lalibela, the Jerusalem of Ethiopia in less than an hour. 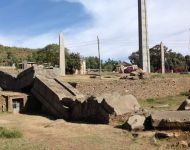 As a finale to your Ethiopian adventure, explore the first group of monolithic carved-rock churches, most of which are covered by modern structures to prevent further erosion. A guide will lead you through the underground network of tunnels linking the churches. Built during the late-twelfth to early-thirteenth centuries, these churches are still in use today. Dinner will be at the Mountain View Hotel for an amazing view of the surrounding mountains and a spectacular sunset. The second day in Lalibela begins with a tour of another complex of churches--these carved into vertical cliff rock faces. The last site in the morning is the magnificent, monolithic church of Saint George, excavated forty-nine feet (15 m) below ground, and having a cruciform floor plan. After lunch, the next destination is the Nakuto La’ab Monastery, a thirty-minute drive. King Nakuto La’ab, nephew and successor to King Lalibela, abdicated his throne in 1270 AD. 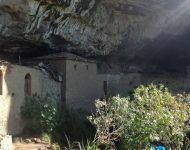 He moved into cave and became a hermit; the cave has since become a monastery. There are several holy pools of water fed by natural springs. The monastery has an interesting collection of ancient crosses, an illuminated leather Bible, and some superb paintings. Dinner at will be at the Ben Abeba Restaurant to experience the dramatic view of the mountains at sunset. Tour staff will transport you to your hotel upon arrival at the Bole International Airport. Later, you can go visit at St. George Gallery or go shopping at the Merkato (the largest open-air market in Africa) and the various souvenir shops on Churchill Road. Dinner will be a traditional Ethiopian feast followed by a spectacular Ethiopian dance show representing various ethnic groups. 10 Addis to return home.